SAN FRANCISCO—March 28, 2018—TRAILHEADX—Salesforce [NYSE: CRM], the global leader in CRM, today welcomes Trailblazers from more than 43 countries and 265 global viewing gatherings to TrailheaDX — the company’s third annual developer conference — for two days of learning, networking, fun and giving back. At the sold-out event, Salesforce will showcase its latest innovations across the Salesforce Platform — empowering anyone to create connected customer experiences with Lightning, Einstein, Trailhead and its newest offering, the Salesforce Integration Cloud. Tune into the keynote live via Salesforce Live (https://www.salesforce.com/live) at 10 a.m. PT to hear from Vice Chairman, President and COO Keith Block; President and Chief Product Officer Bret Taylor; EVP Developer Relations & GM Trailhead Sarah Franklin; and special guests. A fireside chat with Chairman and CEO Marc Benioff and CTO and Co-founder Parker Harris will also be webcast live at 4 p.m. PT. 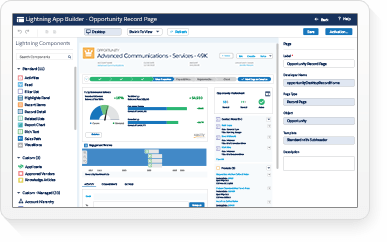 Integration Platform: Salesforce has signed a definitive agreement to acquire MuleSoft, one of the leading platforms for building application networks that connect enterprise apps, data and devices, across any cloud and on-premises. MuleSoft will continue to build toward its vision of the application network with its Anypoint Platform, which is already being used by the world’s most innovative brands, and will also power the new Integration Cloud. All references to Mulesoft and its products are subject to the closing of the transaction. 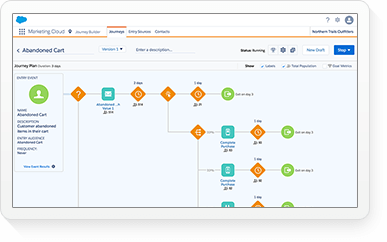 Integration Builder: Admins can build a single view of the customer across all of their Salesforce deployments as well as their entire network of business systems — all with clicks, not code. In addition, admins can manage all of these connections through a unified admin console. 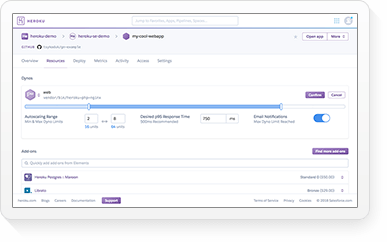 Integration Experiences: By automatically bringing together Salesforce customer data in entirely new ways, admins can create truly seamless and personalized end-to-end customer experiences across sales, service, marketing, commerce and more. For example, an admin can easily use the Lightning App Builder to bring in commerce order history data into the Lightning service console, enabling service reps to transform service interactions into cross-sell and upsell opportunities — without ever leaving their console. 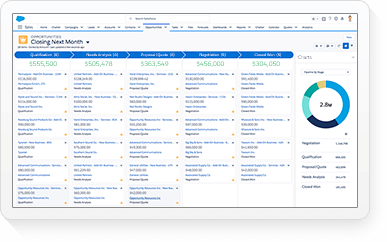 With Salesforce Lightning, Trailblazers can work even better, and faster, together to build apps and components via clicks or code. With a complete spectrum of tools and services — from the no-code App Builder to fully programmatic environments like Heroku — developers of all skill levels are free to choose the right tool for their team across the entire development lifecycle on Salesforce. 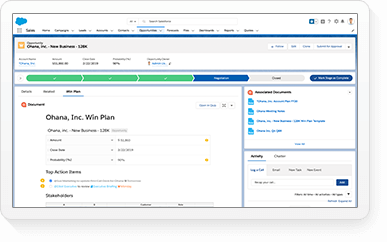 Lightning Flow is the latest platform service that gives any Trailblazer the tools to bring the power of process automation to CRM. Today, many businesses continue to manage customer processes with legacy tools disconnected from customer data, resulting in costly delays and lost opportunities. 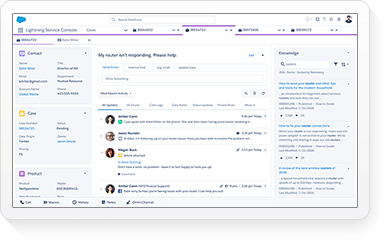 With Lightning Flow Components, developers and business users are now building processes with guided, visual tools integrated with customer data and embedded into any touchpoint, resulting in reduced wait times for customers and improved productivity. For example, a pharmaceutical company could increase prescription fulfillments by using Lightning Flow to build automated processes that improve data entry and accuracy for patients filling out insurance forms. With advances in AI and app integration, business users can now embed intelligence directly into their apps and gain instant access to additional capabilities that keep their business moving forward in just a few clicks. 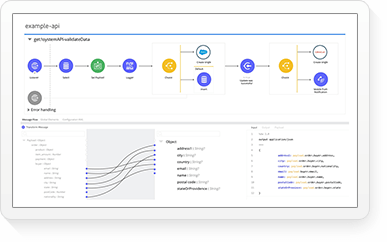 Einstein Analytics Developer Experience: Now, developers can use Lightning components to embed Einstein Analytics and live updates within custom apps to make smarter decisions, all with clicks, not code. Third-party Quip Live Apps: These interactive, customizable apps can be used right inside Quip, and are now available directly in the Salesforce AppExchange from partners including Altify, draw.io and Vidyard. 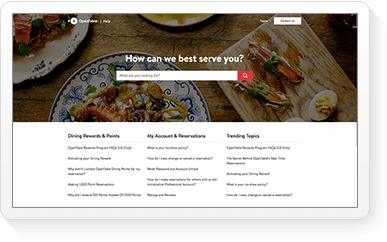 Now customers can quickly and easily navigate deals, design infographics, embed videos and more - all within a single Quip document. 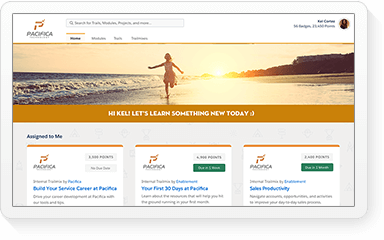 Trailhead is Salesforce's gamified online learning platform that takes users on free, guided learning paths to gain skills needed to thrive in the workforce of the future. Since launching in 2014, Trailblazers have earned more than 6.5 million badges, which directly relate to in-demand job skills. Google Trailhead Content: New content from Google Analytics and Google Cloud. 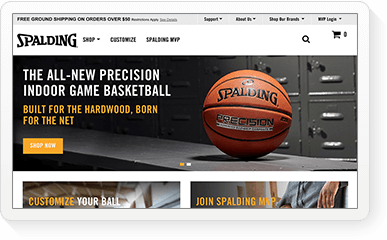 The Google Analytics trail helps Trailblazers understand how to gain key insights into their website, with out-of-the-box Google Analytics Reports & Dashboards. The Google Cloud trail teaches users how to run powerful data queries with BigQuery, a low-cost, fully managed enterprise data warehouse for analytics at scale. Trail Guides: Personalized learning journeys empower anyone to learn the skills of the future. Trail Guides map the right journey for any role or any experience level with recommended content, emails and notifications along the way—giving everyone a direct path to land their dream job. Luminary speakers including Chairman and CEO Marc Benioff; Vice Chairman, President and COO Keith Block; CTO and Co-Founder Parker Harris and President and Chief Product Officer Bret Taylor. More than 200 breakout sessions, learning trails for both developers and admins, expert-led instruction, and the opportunity to get hands-on with the latest Salesforce product innovations. The Second-Annual Salesforce Equality Awards recognizing individuals across industries for committing their careers and lives to creating a more equal world for all. Pricing for each feature of Integration Cloud will be announced as it is made generally available. Lightning Flow is generally available and included with any Platform, Sales Cloud, Service Cloud or Community Cloud license. 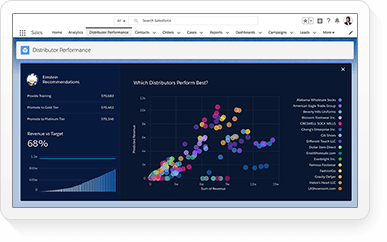 Einstein Analytics Developer Experience is generally available and included with any Einstein Analytics Platform license. Third-party Quip Live Apps from Altify, draw.io, Vidyard and more are generally available today. For more information, please visit the Salesforce AppExchange here or contact the respective partner. Trail Guides are generally available to anyone for free by visiting http://trailhead.salesforce.com. New content from Google is generally available to anyone for free by visiting http://trailhead.salesforce.com. Any unreleased services or features referenced in this press releases are not currently available and may not be delivered on time or at all. Customers who purchase our services should make their purchase decisions based upon features that are currently available. The exchange offer referenced in this communication has not yet commenced. This communication is for informational purposes only and is neither an offer to purchase nor a solicitation of an offer to sell shares, nor is it a substitute for any offer materials that salesforce.com, inc. (the “Company”), its acquisition subsidiary and MuleSoft, Inc. (“MuleSoft”) will file with the U.S. Securities and Exchange Commission (the “SEC”). At the time the exchange offer is commenced, the Company and its acquisition subsidiary will file a tender offer statement on Schedule TO, the Company will file a registration statement on Form S-4 and MuleSoft will file a Solicitation/Recommendation Statement on Schedule 14D-9 with the SEC with respect to the exchange offer. THE EXCHANGE OFFER MATERIALS (INCLUDING AN OFFER TO EXCHANGE, A RELATED LETTER OF TRANSMITTAL AND CERTAIN OTHER EXCHANGE OFFER DOCUMENTS) AND THE SOLICITATION/RECOMMENDATION STATEMENT WILL CONTAIN IMPORTANT INFORMATION. MULESOFT STOCKHOLDERS ARE URGED TO READ THESE DOCUMENTS CAREFULLY WHEN THEY BECOME AVAILABLE BECAUSE THEY WILL CONTAIN IMPORTANT INFORMATION THAT HOLDERS OF MULESOFT SECURITIES SHOULD CONSIDER BEFORE MAKING ANY DECISION REGARDING EXCHANGING THEIR SECURITIES. The Solicitation/Recommendation Statement, the Offer to Exchange, the related Letter of Transmittal and certain other exchange offer documents will be made available to all MuleSoft stockholders at no expense to them. The exchange offer materials and the Solicitation/Recommendation Statement will be made available for free on the SEC’s website at www.sec.gov. Copies of the documents filed with the SEC by the Company will be available free of charge under the Financials heading of the Investor Relations section of the Company’s website at www.salesforce.com/investor or by contacting the Company’s Investor Relations department at investor@salesforce.com. In addition to the Solicitation/Recommendation Statement, the Offer to Exchange, the related Letter of Transmittal and certain other exchange offer documents, the Company and MuleSoft file annual, quarterly and current reports and other information with the SEC. You may read and copy any reports or other information filed by the Company and MuleSoft at the SEC public reference room at 100 F Street, N.E., Washington, D.C. 20549. Please call the SEC at 1-800-SEC-0330 for further information on the public reference room. The Company’s and MuleSoft’s filings with the SEC are also available to the public from commercial document-retrieval services and at the website maintained by the SEC at http://www.sec.gov. This communication contains forward-looking information related to the Company, MuleSoft and the acquisition of MuleSoft by the Company that involves substantial risks, uncertainties and assumptions that could cause actual results to differ materially from those expressed or implied by such statements. Forward-looking statements in this communication include, among other things, statements about the potential benefits of the proposed transaction, the Company’s plans, objectives, expectations and intentions, the financial condition, results of operations and business of the Company, and the anticipated timing of closing of the proposed transaction. Risks and uncertainties include, among other things, risks related to the ability of the Company to consummate the proposed transaction on a timely basis or at all, including due to complexities resulting from the adoption of new accounting pronouncements and associated system implementations; the satisfaction of the conditions precedent to consummation of the proposed transaction, including having a sufficient number of MuleSoft’s shares being validly tendered into the exchange offer to meet the minimum condition; the Company’s ability to secure regulatory approvals on the terms expected, in a timely manner or at all; the Company’s ability to successfully integrate MuleSoft’s operations; the Company’s ability to implement its plans, forecasts and other expectations with respect to MuleSoft’s business after the completion of the transaction and realize expected synergies; the ability to realize the anticipated benefits of the proposed transaction, including the possibility that the expected benefits from the proposed transaction will not be realized or will not be realized within the expected time period; disruption from the transaction making it more difficult to maintain business and operational relationships; the negative effects of the announcement or the consummation of the proposed transaction on the market price of the Company’s common stock or on the Company’s operating results; significant transaction costs; unknown liabilities; the risk of litigation or regulatory actions related to the proposed transaction; the pace of change and innovation in enterprise cloud computing services; the competitive nature of the market in which the Company participates; the Company’s service performance and security, including the resources and costs required to prevent, detect and remediate potential security breaches; the expenses associated with new data centers and third-party infrastructure providers; additional data center capacity; the Company’s ability to protect its intellectual property rights and develop its brands; dependency on the development and maintenance of the infrastructure of the Internet; the ability to develop new services and product features; other business effects, including the effects of industry, market, economic, political or regulatory conditions; future exchange and interest rates; changes in tax and other laws, regulations, rates and policies, including those related to the provision of services on the Internet, those related to accessing the Internet and those addressing data privacy and import and export controls; future business combinations or disposals; the uncertainties inherent in research and development; competitive developments and climate change. Further information on these and other risk and uncertainties relating to the Company can be found in its reports filed on Forms 10-K, 10-Q and 8-K and in other filings the Company makes with the SEC from time to time and available at www.sec.gov. 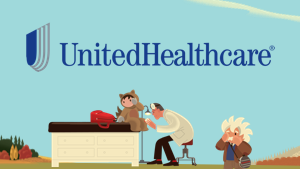 These documents are available under the Financials heading of the Investor Relations section of the Company’s website at www.salesforce.com/investor. The forward-looking statements included in this communication are made only as of the date hereof. The Company assumes no obligation and does not intend to update these forward-looking statements, except as required by law.